The U.S. giant is selling its local website to rival JD for $1.5 bln in stock. Wal-Mart only recently took full control of the unit. But battling Alibaba and JD would have been difficult and costly even for the world’s top retailer. Now it can focus on boosting offline sales. Wal-Mart Stores said on June 20 that it plans to sell its Chinese online grocery arm Yihaodian to local e-commerce group JD.com. 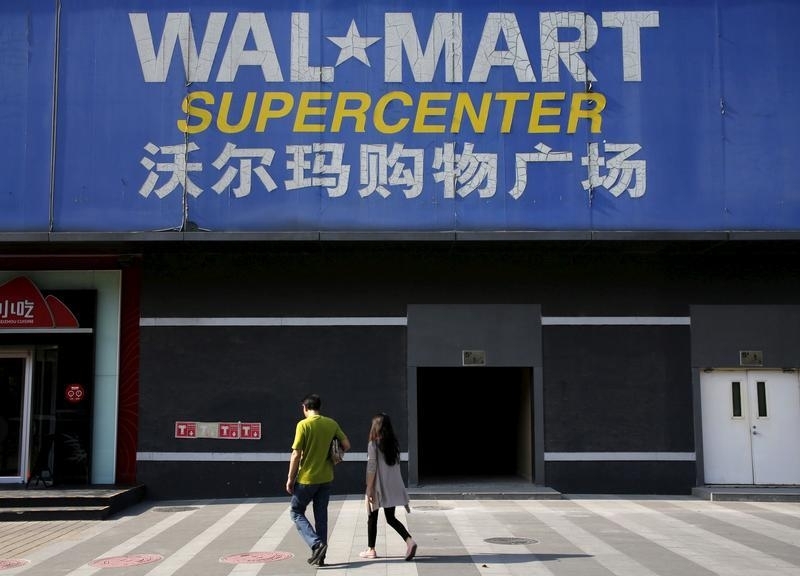 The two companies will form a “strategic alliance” to expand Wal-Mart’s reach in China. JD.com will issue 145.95 million new Class A shares to Wal-Mart, giving it a roughly 5 percent stake. Based on JD.com’s closing price on June 17, the deal is worth about $1.5 billion. Wal-Mart first took a stake in Yihaodian, which focuses on online groceries, in 2011. It took full ownership last July in a deal worth $760 million. Shares of the U.S.-listed JD.com closed up 4.6 percent at $21.06 on June 20. Wal-Mart shares closed up 0.2 percent at $71.10.